A (any title) shares the memories of yesterday, the joys of today and the hopes of tomorrow. 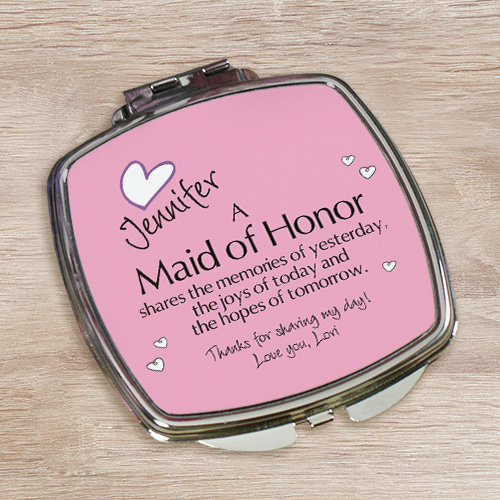 This is a very nice and simple gift for the bridesmaids. The size is good and personalizing it for free is even better. Additional Details GiftsForYouNow.com is the leader in Personalized Keepsakes for Friends and Family. We specialize in unique gifts from the heart which make any special gift giving occasion one to remember. Shop GiftsForYouNow.com today.